Our host-Eleni and her daughter were really nice and helpful, we enjoyed Věry comfortable apartment with an amazing sea view. There is also private beach and small cave, Eleni is excellent cooker-really good breakfasts and dinner, especially lamb was so tasty. Our stay at Nicolas apartment was wonderfull and we will definitely come back! Φανταστική τοποθεσία. Πολύ καθαρό. Φιλόξενοι οικοδεσπότες. Το δωματιο ηταν τελειο, ολα καινουργια και πολύ καθαρα. Η πισινα τελεια και η θεα μαγευτικη, προσωπικο και ιδιοκτητρια εξυπηρετική, ομιλητική με το χαμογελο πάντα. Δεν εχουμε λογια για το πρωινό, ήταν απο τα καλυτερα και νοστημοτερα που εχουμε φαει σε Ελλάδα και εξωτερικό μεχρι τώρα! Χάνετε αν δεν το δοκιμασετε! Θα σας ξαναρθουμε και πάλι το συντομοτερο, ευχαριστουμε για όλα! Φανταστική τοποθεσια . Υπέροχο μεγάλο δωμάτιο σε δυο επίπεδα με τεράστιο δίπλο κρεββάτι . Απίστευτη φιλοξενία από τους οικοδεσπότες . Εκπληκτική θέα στην ιεραπετρα και την χρυσή . Σπιτικό πρωινό . Ιδανικό να χαλαρώσεις . Μπόνους μικρή υπέροχη παραλία μπροστά στο καταλημα. Excellent accueil, lits très confortables, piscine fabuleuse, très belle vue sur piscine et mer, bien placé à 10 minutes en voiture du centre/ port d'Ierapetre, petits déjeuners délicieux... Merci Eleni! Lock in a great price for Nicolas Apartments – rated 9.6 by recent guests! 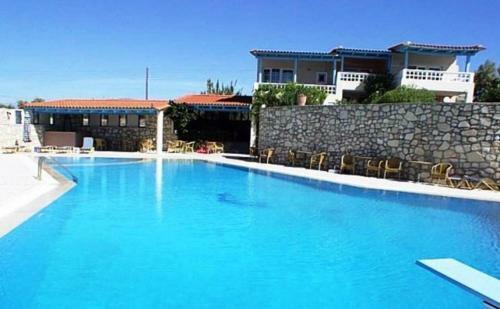 Overlooking the beach of Ierapetra, Nicolas Apartments features rooms with kitchenette and free Wi-Fi access. 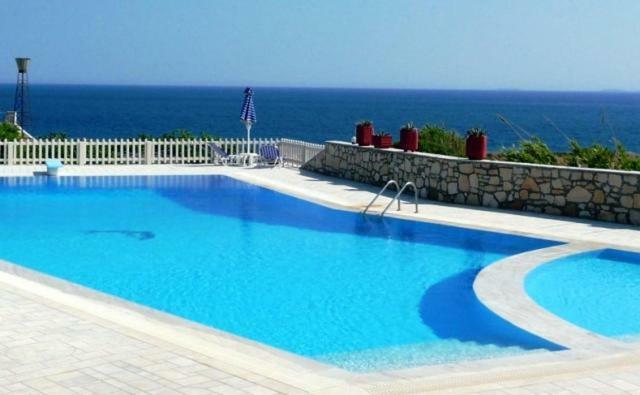 It has a pool with sun terrace offering panoramic views to the Libyan Sea. 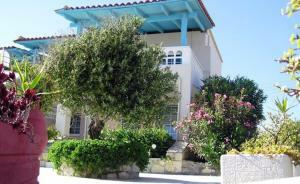 Nicolas offers traditional accommodations decorated according to the Cretan style. Each unit comes with a TV and fridge, and has a dining area. Air conditioning comes standard. The complex features a restaurant serving Cretan specialties prepared with local olive oil. 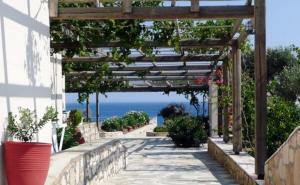 Guests can also taste the traditional Cretan drink ‘raki’, made by the hotel’s owners. The center of Ierapetra is 1.6 mi away from Nicolas. Private parking is available on site free of charge. When would you like to stay at Nicolas Apartments? 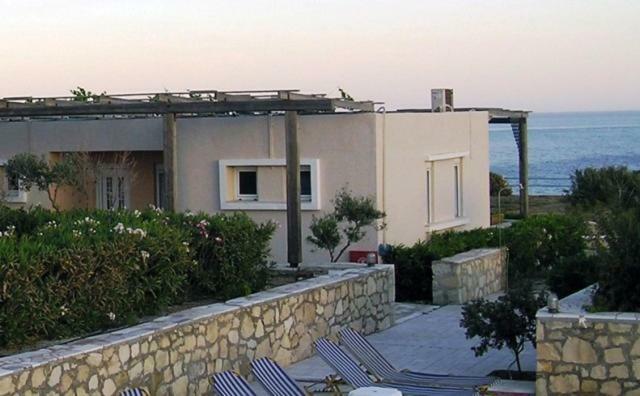 Features a well-equipped kitchenette with terrace offering spectacular sea views and a bathroom with a shower. 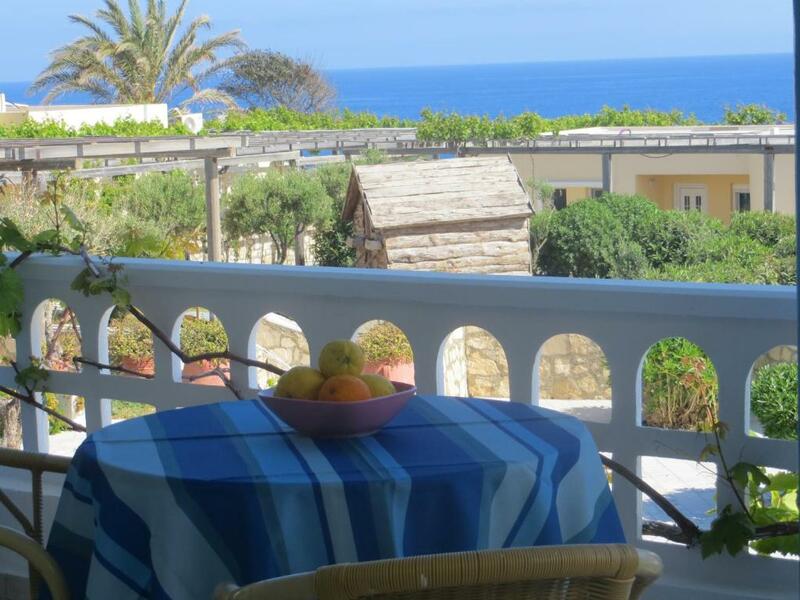 A 2-room apartment with bedroom offering access to the terrace that has sea and garden views. A well-equipped kitchenette and bathroom with shower are included. A wooden staircase connects the 2 levels. Downstairs: A kitchenette, bathroom with shower, sleeping area with 2 single beds, leading out to a terrace. Upstairs: Features open room with a double bed leading out to a covered balcony with sea view. 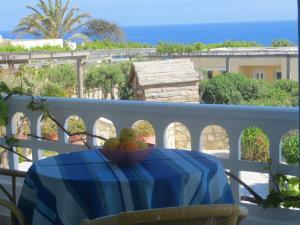 Offers a balcony with views of the sea and the pool. House Rules Nicolas Apartments takes special requests – add in the next step! Nicolas Apartments accepts these cards and reserves the right to temporarily hold an amount prior to arrival. Please note that the swimming pool operates from 23 April 2016 until October/November. Please inform Nicolas Apartments of your expected arrival time in advance. You can use the Special Requests box when booking, or contact the property directly using the contact details in your confirmation.